The C&O Canal National Historical Park is the 9th national park site I've had the privilege of working at during my career. Although diverse in their resources and stories, national parks protect the American legacy. The parks are the legacy of Stephen Tyng Mather. 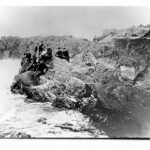 Mather fought hard for the protection of important natural and cultural areas, and in 1917 became the first director of the National Park Service. Many National Parks across the country have a "Mather Point" or a "Mather Trail", paying homage to Stephen T. Mather. 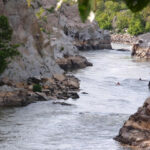 The C&O Canal National Historical Park has Mather Gorge. 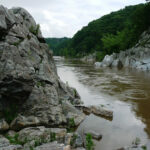 Mather Gorge is part of the Potomac Gorge and lies just downstream from Great Falls. 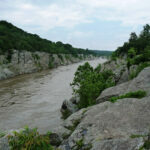 Its sheer cliffs provide a mini-canyon for the wild Potomac River. I love watching the water bounce off the rocks and swirl by. It is my also my favorite local place to watch sunrises. Mather believed parks could provide emotional, physical and spiritual well-being. I think he would have liked Mather Gorge. 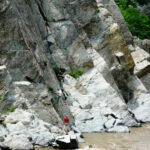 There are four ways to enjoy the wildness of Mather Gorge. The most accessible view of the Gorge is from the Great Falls Overlook. Mather Gorge is the steep and narrow section just downstream. 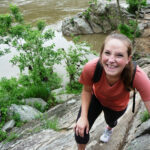 Those looking for more of an adventure should take the rugged Billy Goat A Trail, which traverses the cliff top. For experienced adventurers, the most immersive way to experience the Gorge is by rock climbing or paddling it. Proper training and equipment for these activities is a must. 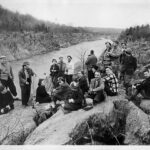 However you choose to enjoy Mather Gorge, take time to reflect on its namesake and his legacy.